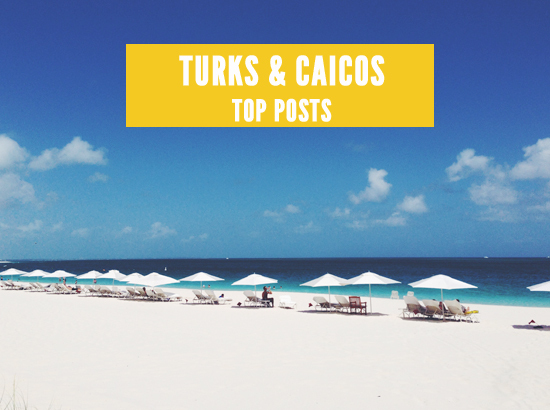 how do we spend christmas in turks and caicos? it sure is different than in the city, with cold (and cozy) weather, enjoying time together by the fire place and eating roasted chestnuts. it’s warm and sunny, there is little or no shopping, and we’re in flip flops and short sleeves all day. and because most of us are here without our families, we stick together and enjoy spending christmas with close friends. on christmas eve our baby group friends invited us over to make reindeer food! this is new to us, but such a great tradition i’m hoping to keep on. later, we had friends over for dinner, they played with julia for hours, and gifted her first doll, she was so excited! on christmas day we skyped our family, went to mass, and were late to greet santa on the beach. at night we were invited to a scrumptuous christmas dinner by the pool, with smores and fireworks to top it off! and we managed to fit in a quick dip in the sea, it was a beautiful day! i sure missed my family during this time of the year, our crazy big family, my grandma’s delicious portuguese food and all my friends and everyone in a a celebratory mood. but this year we stayed on island, so i was determined to make the most of it and happily avoid the pre christmas madness back home. the regent village annual christmas lights – it was fun to have everyone out on this night, packed with strollers and kids running around excited to see the christmas light in the streets (date may vary). the jingle jam christmas party at the provo primary school – for kids 5 years old and under, julia danced and played with all her baby group friends, and all the mums and dads had mulled wine and minced pies (date may vary). the christmas fair at the international school of turks and caicos – we were so sorry to miss it but heard from he other mums that it was great fun, with lots of performs, craft room and bake sale (date may vary). the art and craft fair – so glad we made it this year, lots of great locally made arts and crafts, and of course, santa for some picture taking (date may vary). santa arriving on a boat – the caribbean way, if we’re staying for christmas we always head over to grace bay club for a flute of champagne and greet santa arriving on the atabeyra (on december 25th). 5th annual maskanoo – street parade along grace bay road between the regent village and salt mills plaza. with local music and island street food, this is so much fun (on boxing day, december 26th).